It is a well known fact that female models represent an ideal that is unattainable by most women, creating insecurities (cue Dove Real Beauty). What most people don’t know is that men can actually feel similarly. 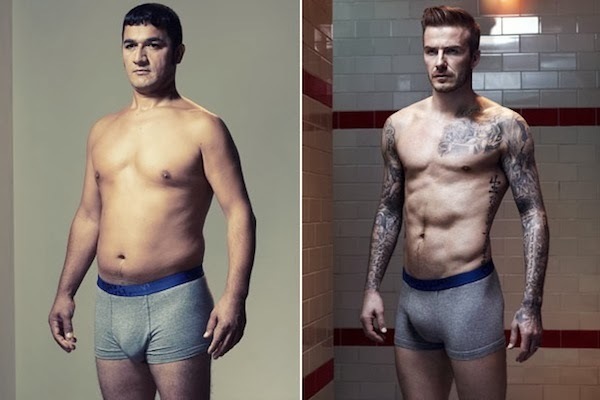 To increase awareness about this, photographer Jenny Francis has created underwear poster ads that show how ordinary men look in comparison to male models. Although this can be viewed as humor, it also is quite refreshing to be reminded that females are not the only ones being held to unrealistic ideals. Guys, the key takeaway is – whether or not you have David Beckham’s abs, we like you just the way you are!